Just two months ago NVIDIA released its GeForce 16 series of GPUs based on their new Turing microarchitecture. 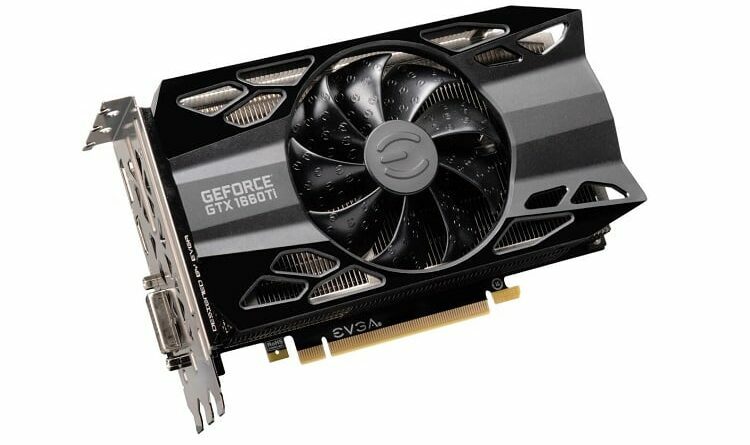 The first cards released on that was the GeForce 20 series, which until now, remains at premium prices. The 16 Series is therefore at what many would consider the ‘sweet spot’ for mainstream gaming – the balance between price and performance. The 16 series hits shelves at prices ranging from as low as around $220 all the way to more than $300. The 20 series cards on the other hand start from around $350 and head up on to the “oh my god’ price range, making the 16 series more in line with mainstream suitability. There are two main versions of the 16 Series cards, the Ti or non-Ti versions, although various AIB manufacturers have produced their own custom versions of each. For example, MSI alone has 11 separate variants of 16 series cards.As with all Ti-labelled cards, the 1660 is no different and the Ti version is faster both in clock speed and memory speed. The reference NVIDIA 1660Ti weights in at 1,500Mhz (with boost up to 1,700MHz) along with GDDR6 at 288GB/s and 1536 CUDA cores. Its lesser brother the 1660 is clocked at 1,530MHz (with boost of up to 1,785Mhz) but comes with GDDR5 memory instead, clocked at a bandwidth of 192GB/s and has 1408 CUDA cores. Normally we would recommend you go where the money is, but in this case, it would be better to pony up for the Ti version because the price margin isn’t all that remarkable. The Ti is also better future-proofed, since it comes with GDDR6. 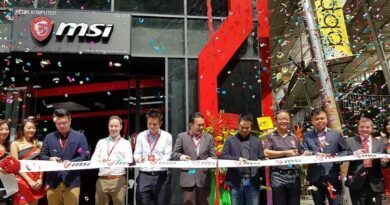 MSI has a lot going for it in graphics card space, from custom fan capabilities to impressive overclocking tools that come with their products. 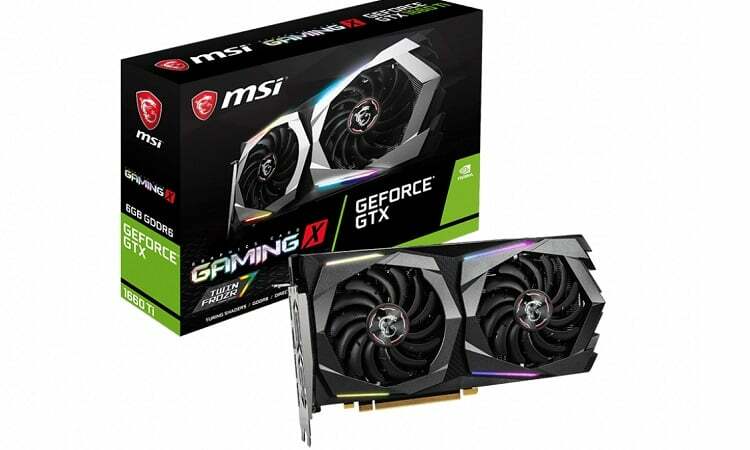 The MSI Gaming GeForce GTX 1660 TI Gamin X 6G comes in a dual slot design which feature their renowned Twin Frozr 7 Thermal Design which has two 9 cm TORX 3.0 fans. 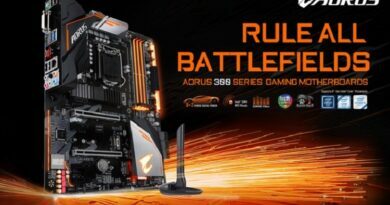 Because it is their Gaming version of the card it punches above its weight class out of the box, featuring a boost clock of 1,875Mhz along with 12 Gbps GDDR6 memory. It also features an enlarged heat sink surface area to cope with the heat generated by that extra speed. 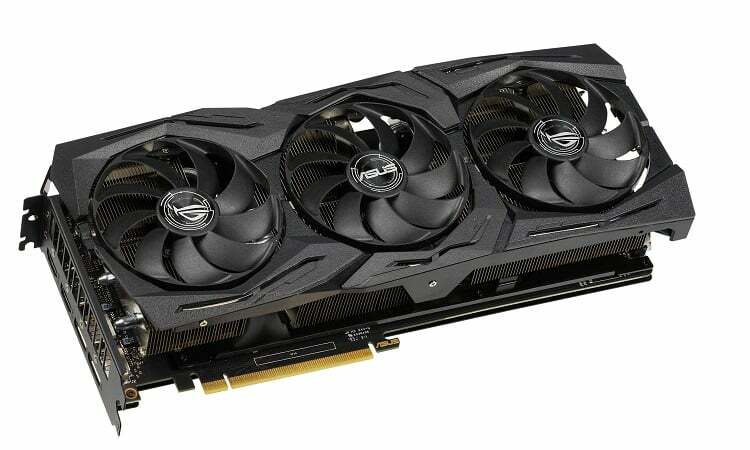 The Asus ROG Strix GTX 1660 Ti OC is one of the heavyweights of this class and features a triple-fan design capable of keeping it running cool. This card has one of the best overclocked speeds that are available right now for the 1660Ti.1,860MHz is certainly nothing to thumb your nose at and in the right system this card may well give budget-zone 2060s a run for their money. The triple fan design is meant to allow the card to keep up that boost performance – with Asus claiming up to 140% higher airflow improvement over other comparable models. This card is a bit of a different beast when it comes to gigabyte’s 1660Ti range, so don’t get confused. The Gamin designation means that it has been ramped up quite a bit and now boosts a superb triple-fan configuration along with increased boost clock. And for the bling fans, RGB lighting. 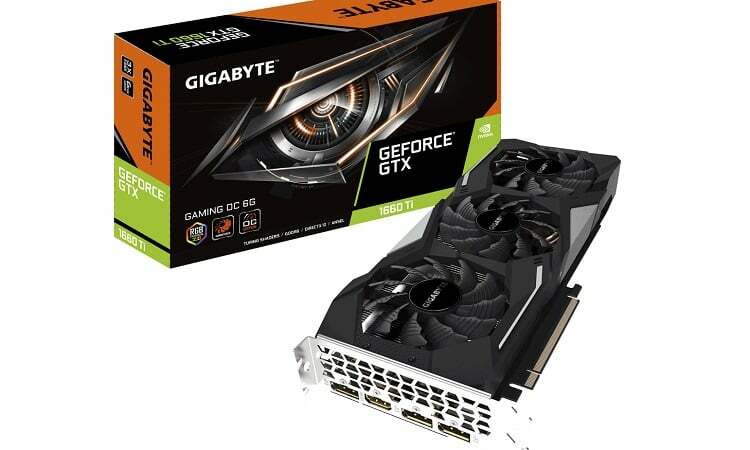 The Gigabyte GTX 1660Ti Gaming version also comes with an increased price tag attached which seriously pushes the envelope of price-performance. One important thing to note is that this card is very overclockable, even past the already boosted performance. A glance at this card may have you thinking it’s a little small to offer such performance, but that would be incorrect. This is one of purpose-designed variants of the 1660Ti that would be ideal for things such as a media centre PC or even a console replacement since the card is only 190mm long. 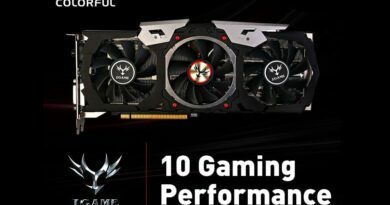 The TU116 Turing GPU the card is based on runs at 1,500MHz stock but this can easily be pushed up with EVGA’s Precision X1 overclocking software. The single HDB fan offers high endurance and quiet acoustics. 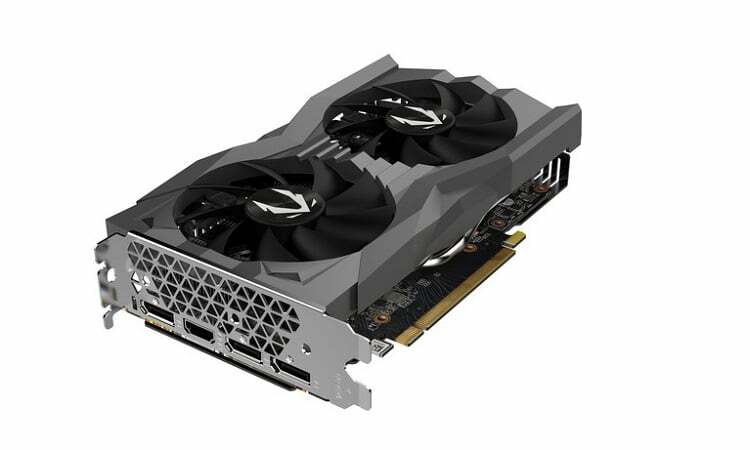 The Zotac GTX 1660 Ti uses the same TU116 GPUs as Asus does so it is still based on 12nm process equipped with 1,536 CUDA cores. This card may seem tiny, but the dual fan design lets it run cooler than expected. The small size that Zotac has become famous for combines well with that twin fan inclusion, especially since they have decided to run this card at stock performance. It is smaller in size than even the EVGA Black card and would do especially well in a Mini-ITX build.